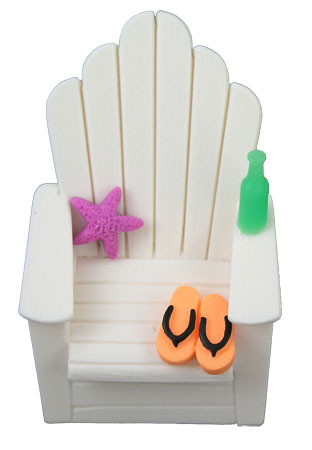 Relaxing beach chair with refreshing pop bottle. Also called an Adirondack Chair. About 2.4 inches high.